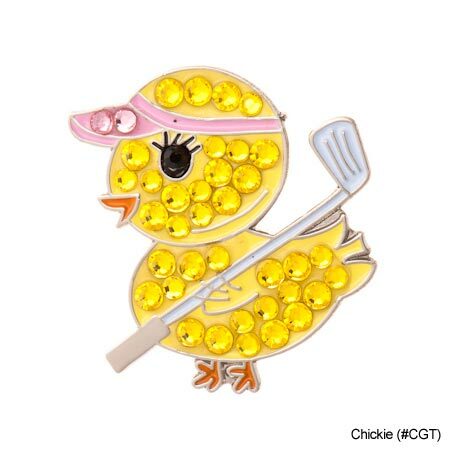 Fashionable yet very functional, Bonjoc ball markers are an eye-catching accessory on and off the golf course. 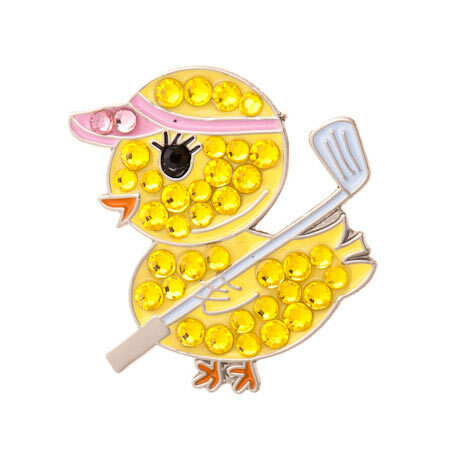 Each ball marker is handcrafted with 100% genuine Swarovski crystals and is accompanied with a complimentary magnetic hat clip. Our unique products are the perfect idea for corporate and executive golf gifts and tournament prizes and awards. All of our golf ball markers are packaged in avelveteen carrying pouch for presentation and protection.